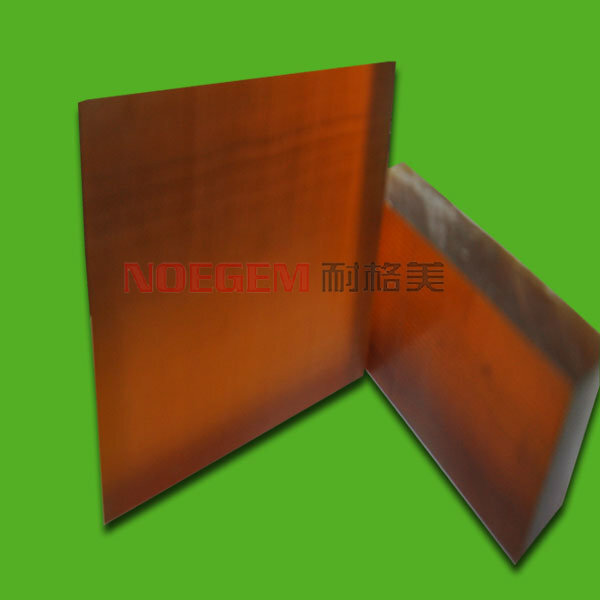 Product categories of PEI Plastic Sheet, we are specialized manufacturers from China, PEI Plastic Sheet, Polyetherimide PEI Sheet suppliers/factory, wholesale high-quality products of Esd PEI Plastic Sheet R & D and manufacturing, we have the perfect after-sales service and technical support. Look forward to your cooperation! 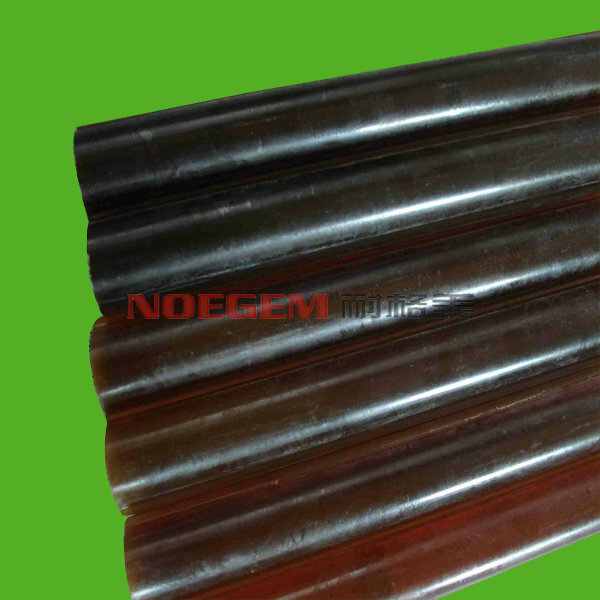 PEI plastics (polyetherimide plastics) is an amber transparent solid. It has an inherent flame retardancy and low smoke concentration without adding any additives. The oxygen index is 47%, and the combustion level is ul94-v-0, and the density is 1.28~1.42 g/cm3. PEI plastics has a strong thermal stability, and even the non-enhanced PEI plastics still has good toughness and strength.Therefore, the high thermal stability of PEI plasticsis used to make high temperature heat-resistant devices. PEI plastics has excellent mechanical properties, electrical insulation performance, radiation resistance, high temperature resistance and abrasion resistance, and can be used by microwave.The PEI plastics also has good flame retardancy, chemical resistance and electrical insulation.Vitrification transformation temperature is very high, up to 215 ℃.PEI plastics also has a very low shrinkage rate and good mechanical properties.Adding fiberglass, carbon fiber or other fillings to enhance the purpose of modification;And other engineering plastics of heat-resistant polymer alloys, can be in 160 ~ 180 ℃ under the working temperature of use for a long time. The long-term use of polyether amines in the us underwriters laboratory is 338T and 356T (according to the grade), and the combustion rating reaches UL94V - 0 (10 mille thickness).The oxygen index is 47, and the polyetherimide is in line with the requirements of the aircraft for the requirements of the FAA's flame retardant and thermal release material standards.It has a glass transition temperature of 419F and is allowed to be used intermittently under 392F, at higher temperatures, resulting in a short-term shift.Under 356T, the tensile temperature and flexural modulus were above 41 and 2068MPa respectively.The material reinforced with Glass Fiber and carbon fiber has higher strength and rigidity under the transition temperature of glass. PEI plastics long-term resistance to creep under high temperature and stress allows it to replace metals and other materials in many structural devices.PEI plastics shows good performance in variable temperature, humidity and frequency.The low dissipation factor at GHz frequency makes the polyetherimide have high microwave wearability.Its ionic pollutant is low, at 250F100 % R.H.And 207kPa after 120 hours of water extraction with the conductivity, at 20 megaohm, it can be used as an electronic sensor element insulation. PEI plastics is a fine coating and film forming material which can be used for the coating and film of electronic industry, and can be used in manufacturing aperture < 0.1 mu m, with high permeability microporous diaphragm.It can also be used as high temperature adhesive and high strength fiber. Since PEI plastics has excellent comprehensive and balanced performance, PEI plastics has been applied to the departments of electronics, motor and aviation, and used as metal substitute materials for traditional products and cultural life supplies.Using PEI plastics instead of metal to make optical fiber connector, PEI plastics can optimize the structure of the component, simplify its manufacturing and assembly steps, and maintain a more precise size.Used in automobile industry, such as high temperature fittings for manufacturing, the high power lamp and light, control the car cabin outside temperature sensor (air conditioning temperature sensor) and the control of air and fuel mixture temperature sensor (effective combustion temperature sensor).Also can be used for high temperature erosion of lubricating oil vacuum pump impeller, distilling apparatus that operate at 180 ℃ of ground glass joints (following), the lighting of anti fog light reflector.